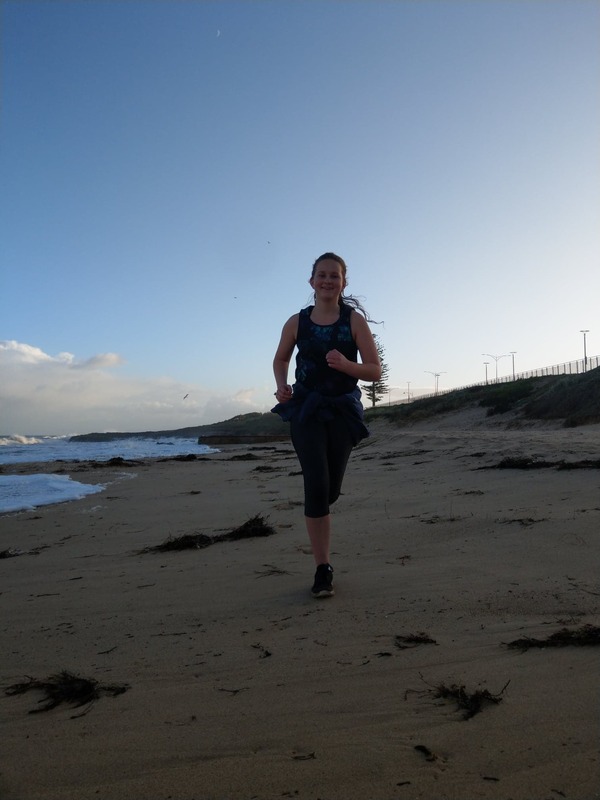 Recently, I have been running on the beach with my sister Jemima. I get up early and pick her up at my parents’ house. 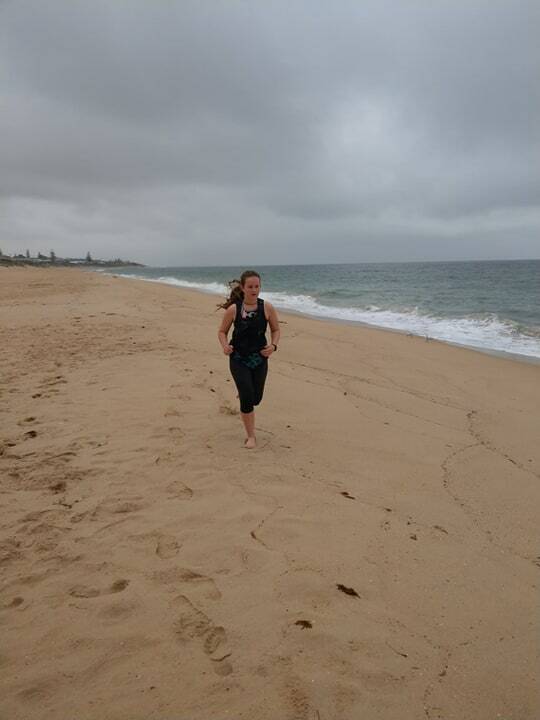 We then drive to Bunbury Back Beach and jump out onto the cold sand. It’s a hard slog trudging through shifting and sinking ground, but a good form of resistance training. It has been pretty hard to get up over last few months, the cold, dark, grey mornings of winter sap motivation and strength. But summer is nearly here! I love how the gentle stillness combines meditatively with lapping of the waves and the sand is a welcoming coolness, instead of a freezing ice rink. A regular morning beach run feels great once you start. 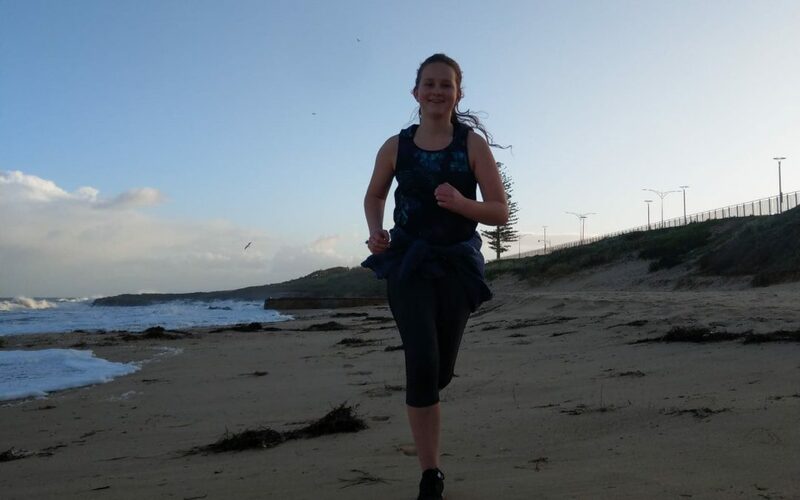 The beach sand strengthens the ankles, the cold air encourages aerobic fitness and the exercise benefits of being out near the ocean combine nicely to increase mood and mental health. Morning runs inspire alertness and motivation, setting you up for a productive day. 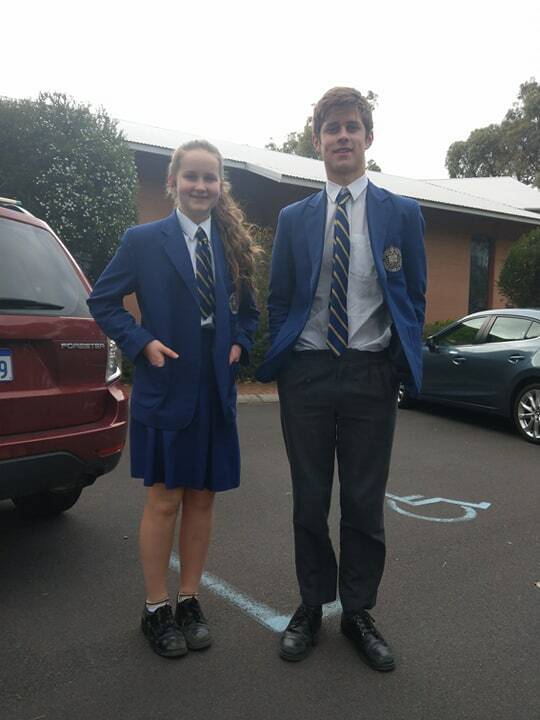 A month ago my sister Jemima, aged 14 years, suffered a bout of LBP (Low Back Pain). This is the second time this year that Jemima has suffered a sore lower back. The first time my Mum took her into my office crying. “I have a disease” she sobbed, face red and teeth gritted. Trying hard not to laugh I screened her spine, identified the problematic restriction and performed a crisp, gentle adjustment. After a little rub of the inflamed paraspinal muscles, Jemima felt a lot better (and I may have laughed a lot more at my sister’s disease comment). But her recent suffering of another episode of LBP got me thinking. How common is it for teenagers to experience low back pain? Do certain factors increase the risk of teenagers experiencing it? Does LBP affect girls or boys more? Does too much sport increase low back pain? Like an excellent evidence based chiropractor that I am (shameless self aggrandizement there)- I took a look at some of the science on this questionable topic. 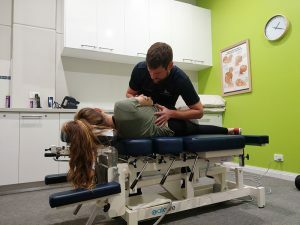 A few physios from Curtin University in Perth recently wrote a study- summarising the predictors for LBP in teenagers between the ages of 14 years to 17 years. You can find it in the link below. What they found was quite interesting. Lets talk a few figures first. LBP is surprisingly prevalent in the teenage years and unfortunately (but unsurprisingly) increases into adulthood. As teenagers age from 17 years to 22 years, LBP will increase from 32% to 45%. LBP appears to occur in association with poor mental health, high levels of out of school sport, negative catastrophizing beliefs about LBP, genetic factors and the female gender. Traditional ideas about posture and heavy school bags, joint hypermobility syndromes do not seem to predict back pain as strongly as we once thought. Lets look at what does predict, and what is associated with LBP in teenagers. Girls appear to experience more back pain than boys. In any given month, 30% of adolescent girls and 26% of adolescent boys aged 14 years will be experiencing LBP. Interestingly, as teenager’s age to 17 years, the gender differences significantly diverge. Only 13% of 17-year-old boys will be experiencing LBP while the percentage of 17-year-old girls only slightly drops to 26%. In other words girls appear to experience higher levels of LBP in adolescence than boys. Why do girls experience more low back pain? I would suggest it could be because teenage girls have a higher propensity to internalise negative emotional symptoms of depression and anxiety. Males who show strong externalizing behaviours such as rule breaking and aggression are not immune to LBP either however. Such external behaviours have also been associated with increased LBP prevalence but at lower rates than girls. Definitely Low Back Pain is comorbid (occurs alongside) with Mental Health. Being aware of factors in your daughter’s life (and son’s) which affect mood and limiting the negative affects could help your teenager. Decreasing social media usage, increasing active activities and encouraging positive responses to stress rather than catastrophizing will help pain tolerance and decrease pain intensity. Recovery from back pain and an awareness that it will pass, will help promote mental toughness and resilience. You do your teenager no favours by indulging their insecurities. This is where I can help. 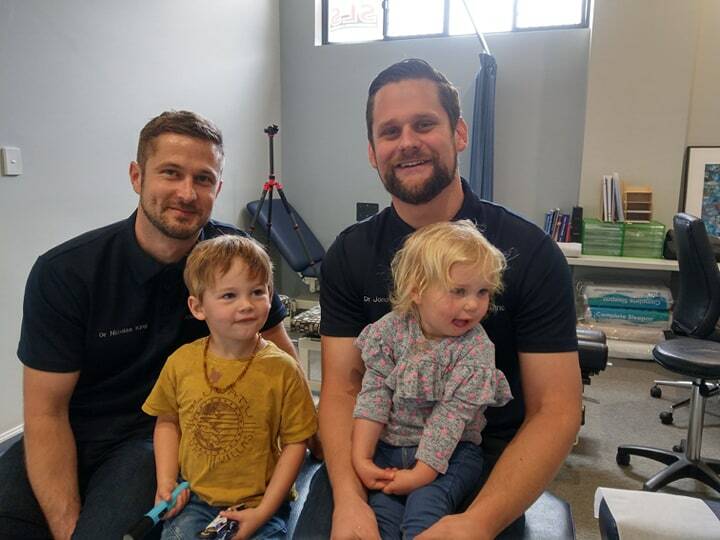 Pain can be remarkably alleviated with manipulative manual therapies of chiropractic care. As a chiropractor I want to encourage resilience in my patients, not dependence. I’m not into spreading fear and unease to make a teenager (and their family) see me more as a patient. That is the road to becoming mentally weaker and not achieving full potential later on in life. You as a parent can help the mental strength of your teenagers and kids by being a strong example to them. Teenagers are far more likely to demonstrate poorer LBP responses such increased medication use, physical activity avoidance and catastrophization if their parent or primary care giver exhibits those same negative beliefs and behaviours. Keep a strong mind for your teenager’s strong spine. Posture, Mental Health and the relationship with Low Back Pain. Surprisingly to me as a chiropractor “poor posture” like slump sitting at school was not as clearly associated with low back pain as I had assumed. Poor posture is determined by, and associated with, a whole multitude of factors including being male, non neutral standing postures (hyperlordotic/hyperextended lumbar spine), lower self esteem/ depression, decreased back muscle endurance, increased TV/ tablet use and being overweight. But it is poorer Mental Health that seems to affect posture and thereby LBP the most. Poor back muscle endurance (strength over time) only weakly correlates with poorer posture and LBP in teenagers. I don’t advocate forgetting the importance of keeping a strong spine, rather I’m saying at this time in a teenagers life it is not as important in determining LBP and poor posture as scientists thought. It is more important to keep good Mental Health while avoiding the extremes of “bad” (really slumped poor sitting) or “good” (super hyperextended upright sitting) postures. A little slump once in a while when sitting at school isn’t going to hurt your teenager, but long days and weeks with their head on the back of the chair, and low back on the very edge of the seat will have an impact. Non- neutral standing postures do cause pain also- especially when the teenager has an over accentuated low back curvature or hyperlordosis (look like their bum is sticking out). When the pelvis is tilted too far forward, the back extends- putting more pressure on the facet joints of the lower lumbar spine. Generally speaking, hyperlordotic postures are more common with overweight teenagers. So losing weight will improve posture, which in turn will decrease low back pain likelihood. Habitual postures and poorer awareness of posture may translate into poorer movements and poorer spine loading mechanics when doing dynamic tasks throughout daily life. In other words changing posture regularly in standing and sitting and avoiding long term habitual loading on the spine may help to decrease back pain likelihood. Bottom line your teenager should avoid excessive bad sitting postures, stay in a healthy weight range and stay positive mentally. All these factors are positive feedback mechanisms that closely affect each other. Better postures create better self-esteem, leading to more exercise, which decreases weight and encourages healthy, happy and resilient teenagers. I will put it another way. Encourage your teenagers to stay strong mentally, keep strong physically and actively display good posture. But what about the big backpacks Chiros and Doctors have been banging on about for years? Doesn’t that cause pain? The answer seems to be complicated. What is clear is that mode of transport to school seems to be associated with neck and LBP. Walking and riding to school however seems to offset the provocative affects of prolonged heavy bag carrying. Unfortunately with our societies becoming more fearful, parents are less likely to allow their teenagers to actively make their own way to school. Biking and walking has been replaced with car school runs. In any event- keeping strong physically and being active is the take home message, which leads us nicely into another topic of contention, the amount of activity. In boys that flex their spines too far forward when rowing, back pain has been shown to develop. This indicates that technique and repetitive large amounts of activity do have an affect on pain levels in teenagers. In rowing, excessive amounts of lumbar flexion just before the start of the drive phase was shown to cause pain in teenage boys. Rhythmically repeating that bad technique increased pain compared to a more relaxed less extreme amount of forward flexion. It’s a similar story in tennis players, the teenagers with reduced lumbar and pelvis spinal rotation, decreased ROM (range of motion) in their racquet shoulder, laterally tilted pelvis towards the right side have been shown to experience more pain than their more mobile, better moving peers. Better technique can decrease pain levels and too much activity is not the best for the body. It’s a balance. Working on mobility, getting adjusted chiropractically and optimally tuning the mechanical workings of the body will decrease pain levels. Your teenagers can better themselves with correct training, active (Chiropractic care) and self care (stretching, rehab). Joints should move smoothly with full, efficient and pain free ranges of motion. This is crucial for good sporting technique and where chiropractic care can really help. 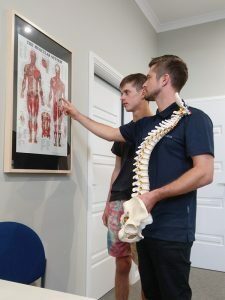 My brother Nicolas and I at King Chiropractic in Bunbury analyse your teenager’s joint biomechanics and aim to correct and improve spine function and movement. We decrease teenage LBP and lessen the likelihood of long-term, chronic pain. We encourage healthy, strong spinal movements while advocating correct technique. Problems in the pelvis and lumbar spine, decreased thoracic mobility, neck discomfort and shoulder dyskinesia are the bread and butter of King Chiropractic. Left untreated, the risk for chronic pain later in life increases. If your teenager is experiencing pain that is affecting their technique in sport or concentration at school, bring them in for an assessment at King Chiropractic. Lastly, I’m going to encourage you to keep a strong mind for your teenager’s strong spine. I know I have already said it! But it has a good ring to it and the principle is very apt. Lead by example.